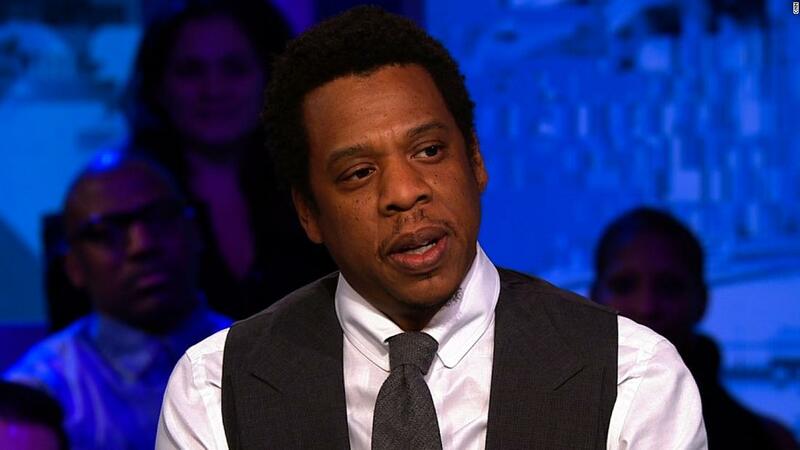 (CNN) President Donald Trump hit Hillary Clinton and one of her campaign surrogates, Jay-Z, who he said used "filthy" language that made him look "clean-cut" by comparison. "The only way she filled up the arena was to get Jay-Z," he said to boos while recalling his 2016 victory at a campaign rally in Nashville. "And his language was so filthy that it made me, like, the most clean-cut human being on earth. It's true." Trump continued, "He'd stand up there before those crowds, and by the way, without any musical instruments, I had much bigger crowds than he was drawing. But he'd stand up before those crowds, and he'd use the F word and Hillary would sit back -- 'oh I'm in trouble, oy, please don't have him use that kind of language anymore,' and then he'd finish, and everybody would leave, and she'd be standing up making a speech to 400 people." He again noted that Rep. Marsha Blackburn's Democratic opponent Phil Bredesen "supported her." Jay-Z caused a headache for the Clinton campaign with a November 4, 2016, concert. During that show, he used several vulgar terms while rapping lyrics to his songs. Trump was similarly horrified by the language the famed rapper used, saying the next day, ""He used every word in the book last night," Trump said. "He used language last night that was so bad and then Hillary said, 'I did not like Donald Trump's lewd language.' My lewd language. I tell you what, I've never said what he said in my life." Trump was caught on tape using extremely vulgar language on the "Access Hollywood" tape, which was released in October 2016. Earlier this year, Trump also made headlines for using vulgar language when reports surfaced that he called multiple poorer nations "shithole countries."